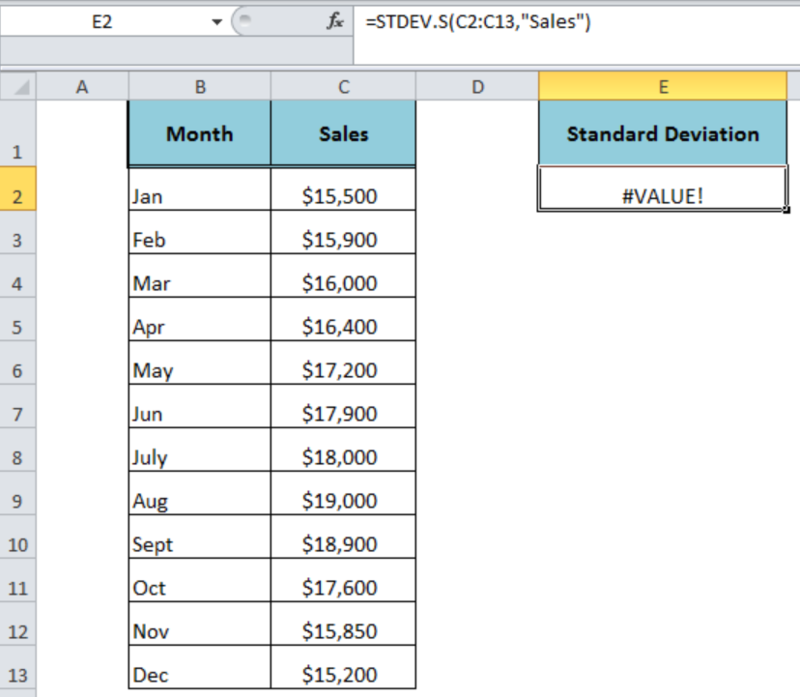 The Excel STDEV.S function calculates the standard deviation of a set of numbers that represents a sample. It determines how much the values of sample dataset are widely spread compared to the average of the sample numbers. It can accept the arguments between 1 and 255 in total. number1 – It is the required argument and the first number of the sample. number2,… – (Optional) These are additional arguments of sample numbers between 2 and 255. The STDEV.S function supports arguments as constant numbers, the text representation of numbers, cell references, ranges or arrays. 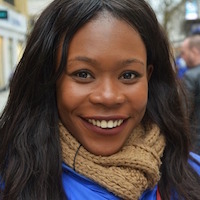 It ignores the text, logical values (TRUE and FALSE), empty cells and text representations of numbers in the range, array or cell references and evaluates only numbers of sample dataset in the calculation. However, if the logical value and text representations of numbers are supplied directly as the argument in the STDEV.S function then it evaluated these values as numbers. 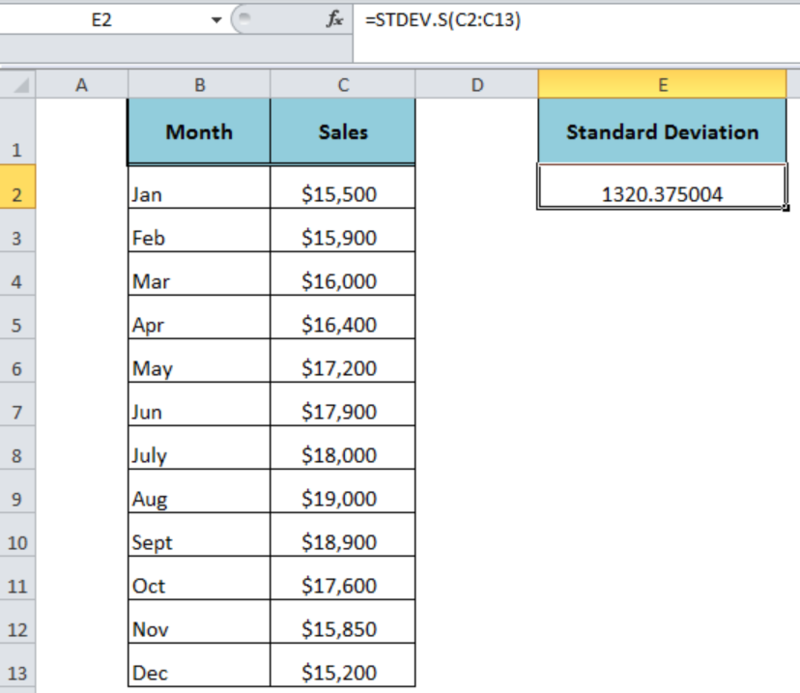 The Excel STDEV.S function has been introduced in Excel 2010 to replace the STDEV function. 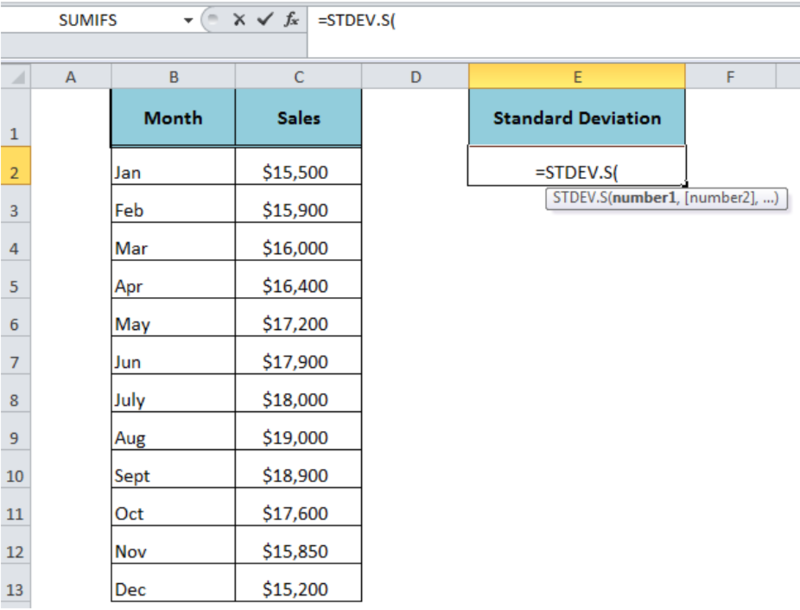 The STDEV function is still available for compatibility with Excel 2007 and earlier versions. If all of the supplied arguments contain only text values then it generates #DIV/0! error. If a text value is entered directly in the argument then it generates #VALUE! error. I am trying to enter error bars into a graph of two separate averages. 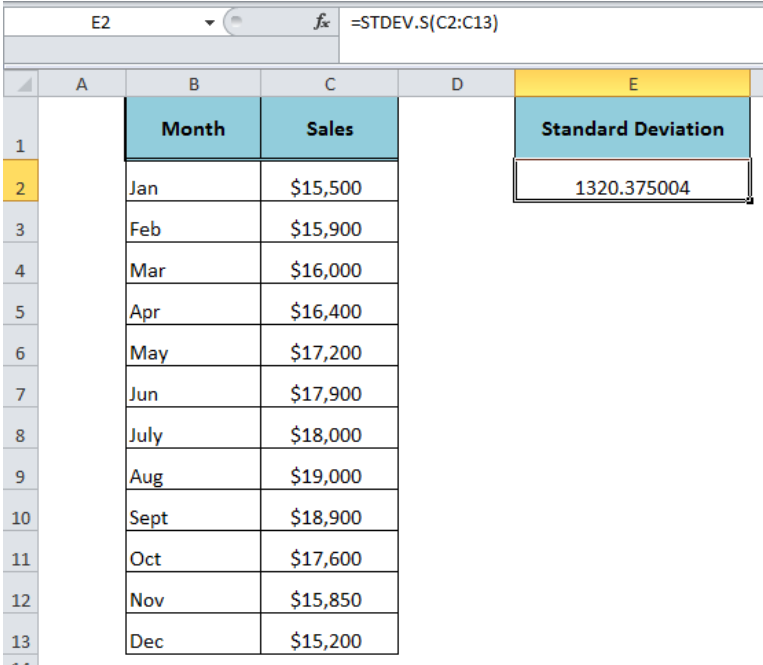 I have used the =stdev.s to find the standard deviation of both, then go to error bars, more options, specify value, highlight the deviations for negative and positive, but it says error. What do I need to do to get the proper error bars?